"When I feel stressed, I give myself Reiki for a few minutes to calm down"
A Reiki Session begins with the Reiki Practitioner taking information about your physical and emotional concerns and the specific areas that you would like to focus on. After doing so, you will lay fully clothed on a massage table, or may be seated if necessary. The practitioner will place their hands on or slightly above key areas of the body to transmit Reiki energy. Your practitioner will hold each hand position for 3 - 5 minutes. The session will last about an hour. People's experiences vary during a Reiki session; however, most people feel the energy as heat. They may feel tingling, vibrating or waves of energy from the hands of the practitioner. Most people feel a great sense of relaxation, calm and peace; and at the same time feel energized with more clarity after a session. The cost of a Reiki session is $75. 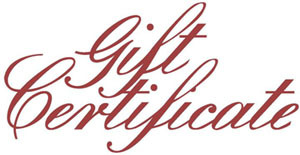 Surprise a friend or a relative with relaxing Reiki session by sending them a gift certificate! Click here to find out how to try Reiki for free.